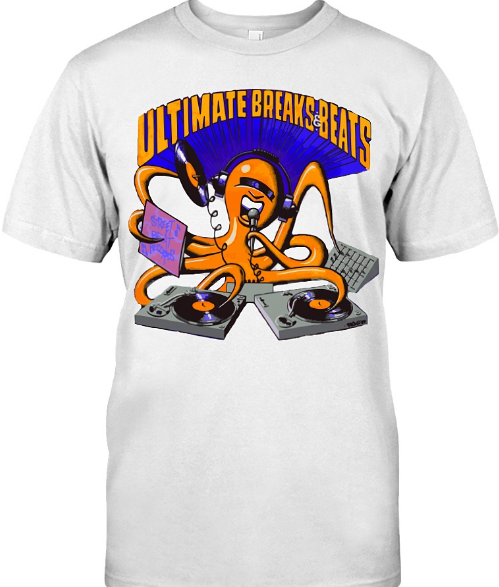 The urban lifestyle has always been a hive of activity in the world of hip-hop culture. First there is the visually arresting images of graffiti, then there is the hypnotic rotation of turntables. You can't forget the acrobatic display of b-boys or the oral expression of MCing. The lyricist or the MC has long been the center of attention in the sub-culture of underground hip-hop. There are often many questions about who is the best lyricist or who can beat who in a battle. The topic of discussion also centers on who's new record is wack, and who's new record is heat, or which newcomers sound good and shows promise. Lyrics, delivery and production all play key roles in judging the quality of underground hip-hop. Noncommercial rap has always had more poetic value than its corporate under produced counterpart. This week our spotlight is on Michigan’s' own DJ Soko, known for his time spent Djing locally in his area. 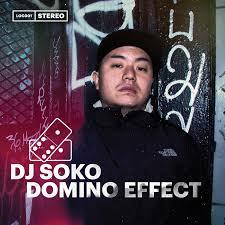 Now living in Brooklyn, DJ Soko has released a full length album titled "Domino Effect", which boasts a host of special guests. The album includes guest vocal appearances from Guilty Simpson, Ugly Heroes, Marvwon and more. "Land Mine" features underground heavyweight Rasheed Chappell. This week our spotlight is on Michigan based producer Apollo Brown, who grew up in a racially mixed environment in Grand Rapids. His earliest musical influences did not include Hip-Hop, he was more exposed to Pop and Rock music as a child. After hearing Gang Starr, Wu-Tang, Nas and Black Moon he found his way into the genre of Hip-Hop and Rap Music. In 2009 Brown won The Detroit Red Bull Big Tune Championships and competed in the national finals. Mello Music Group signed him as a producer in December of that year. 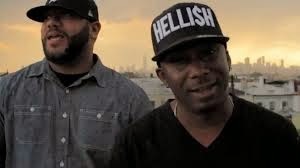 Brown has teamed up with west coast super MC Ras Kass to complete a full-length album they call Blasphemy. The album features guest appearances from Iriscience, Royce The 5' 9", Xzibit, Sick Jacken and Slain. The album, which is due to be released on October 28th- on Mello Music, also features H2O, which features guest vocal appearances from Pharaoh Monch and Rakaa. Ghostface Killah And Apollo Brown "Twelve Reasons To Die/ The Brown Tape"
This week our spotlight is on Wu-Tangs Ghostface Killah and Apollo Brown. The two have teamed up to do what they are calling "Twelve Reasons To Die/ The Brown Tape". 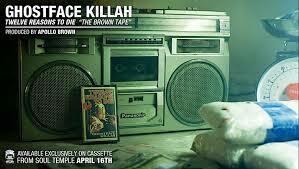 Apollo Brown is easily one of the best producers in all of Underground Hip-Hop. The Michigan native released instrumental albums in 2007 and 2009. He signed a deal as a producer with Mello Music before the end of 2009. He began working with some of the most recognizable luminaries in Hip-Hop Black Milk, Kenn Starr, Oddisee and Diamond Distict to name only a few. In 2011 he dropped his first joint on Mello Music- an instrumental album titled "Clouds". Apollo continued forward doing an album for New York legend OC called "Trophies" in 2012. He has also produced tracks for Words Worth and fellow Michigan resident Guilty Simpson. Apollo Brown has now teamed up with Ghostface Killah to produce what is loosely being referred to as "The Brown Tape", which is obviously a take on Reakwons' classic "Only Built For Cuban Linx" a.k.a "The Purple Tape". This is the story-telling Ghostface at his best over the sample laced production of Apollo Brown. 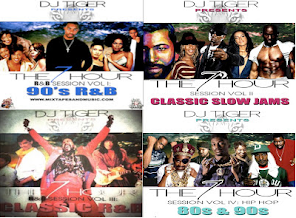 "Twelve Reasons" was originally released as a limited edition cassette tape, but the response was so great that the album was released by Soul Temple Records. This eleven song album from two of Hip-Hops' most talented individuals is definitely a worth-while purchase. Check it!